Yay! We have almost made it through the first week back! 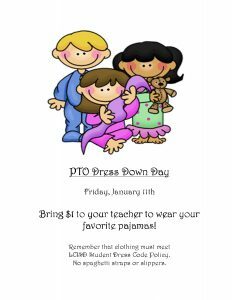 What better way to end the week than with pajama dress down day! Send $1 with your student to participate.